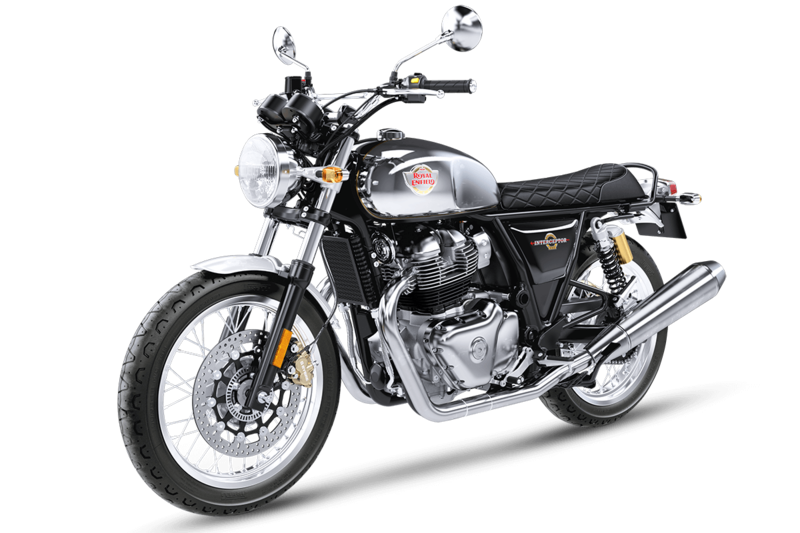 Royal Enfield Interceptor 650 is the most happening motorcycle in its segment, rivaling none other than KTM 390 Duke at its price point. 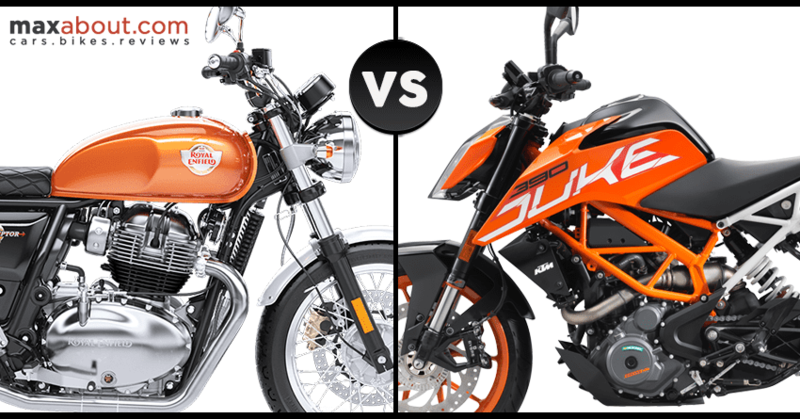 650cc Interceptor is priced at INR 2.50 lakh while the Duke 390 is available for INR 2.42 lakh (ex-showroom). 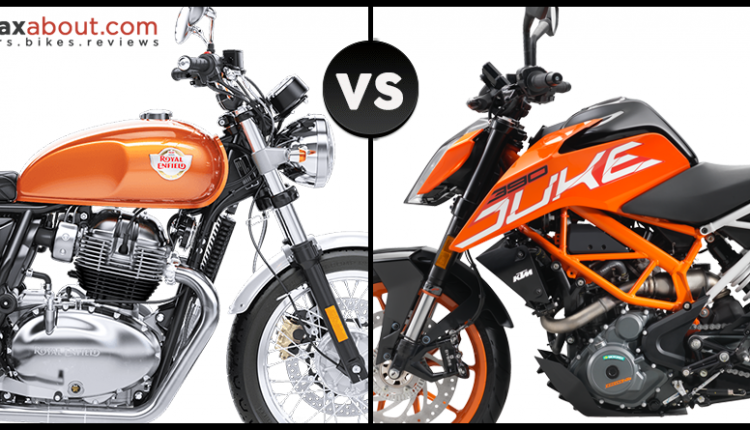 The comparison between both the motorcycles may not feel as genuine for a true enthusiast but believe it or not, the Interceptor 650 carries the power to mold minds with a 0-100 kph sprint time of 6.5 seconds and impressive everyday use stance. The 648cc, twin-cylinder engine is priced very competitively as the next twin-engine bike with similar displacement and matching character is Vulcan S at INR 5.48 lakh. The Harley Street 750 is also on the target list. 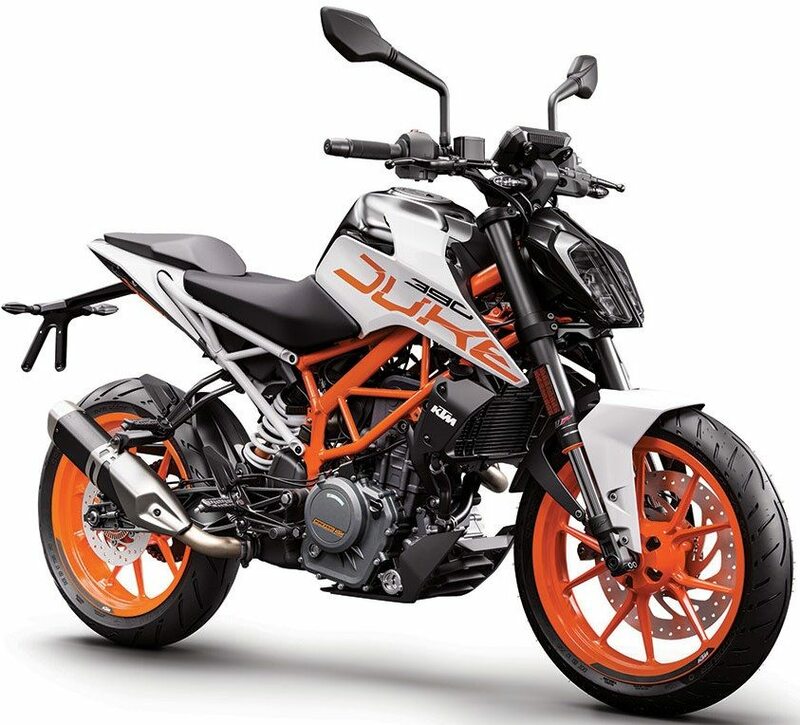 On the other hand, KTM 390 Duke is a benchmark in lightweight performance, bringing nothing less than 5.6 seconds, 0-100 kph sprint and 163 kg of wet weight. Royal Enfield Interceptor 650 weighs around 212 kg when filled with fuel to the brim. KTM offers just two shade options for the bike while Royal Enfield Interceptor 650 comes with six total shades, including the much loved and premium placed Chrome variant. Also, the relaxed riding nature, along with more torque at just 2500 rpm than Duke’s total output makes Interceptor 650 a great option for everyday riders who struggle for power.